I am here to rebuild. 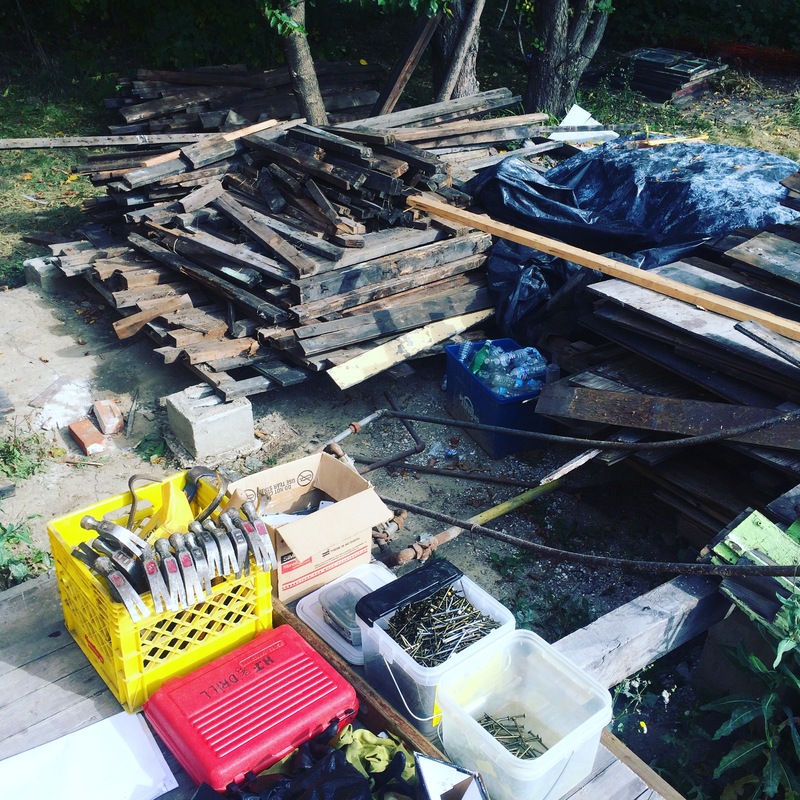 This past weekend I volunteered at a property in Detroit, trying my hand at deconstruction. Deconstruction is an alternative to demolition, trading bulldozers for hammers and patiently dissecting structures as a means of preservation. In the realm of Detroit, it serves as a framework for salvaging materials and clearing blight around the city. Paired with reconstruction, it translates old and condemned into new and productive, all the while preserving the rich history of Detroit through the recycling of architectural remnants. On this particular day, weeds were my enemy. It was a day filled with labor, collaboration and experience. Amidst our tasks there were occasional visitors. In particular, a young woman with palpable curiosity and intriguing inquisition. It turned out her grandmother was the prior owner of the house and she had spent much of her childhood in the very structure we were delicately clearing. It then dawned on me that to “rebuild” something implies it to have once been damaged or destroyed, and Detroit was neither. The house she once considered home was now a collection of materials organized in a nearby warehouse. These materials will one day serve the needs of a new home, linking the past and the present in a resourceful manner that bears meaning for multiple generations. And now I think differently. I am here to build.